For my son’s 3rd birthday he was all about Mickey Mouse Clubhouse which is why I threw him a Mickey themed party. 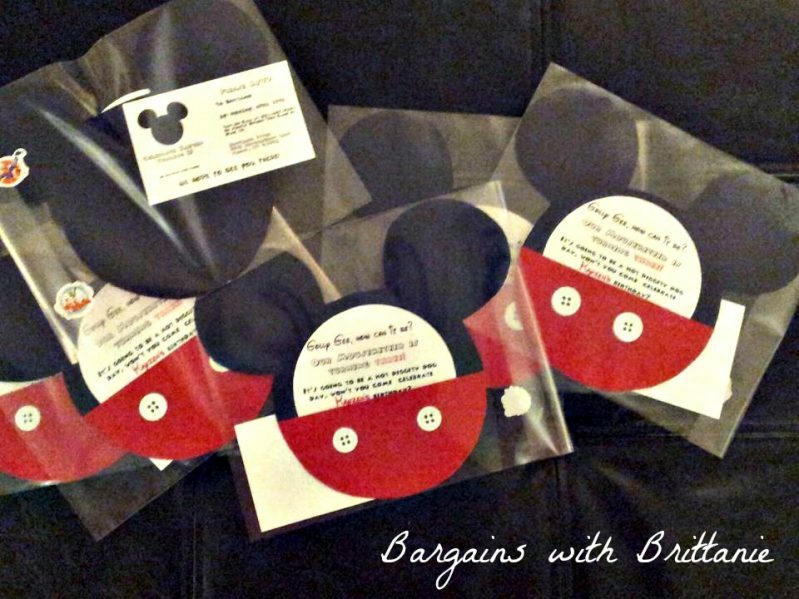 Although you can purchase Mickey party supplies, I wanted to add my personal touch so I made my own Mickey Mouse Clubhouse Party Invitations! If you know me at all then you know that I love to be crafty and make things for parties including the invitations, some decor items, and even the cake. I wanted to share with you all this cute little project that I did for his party invites. 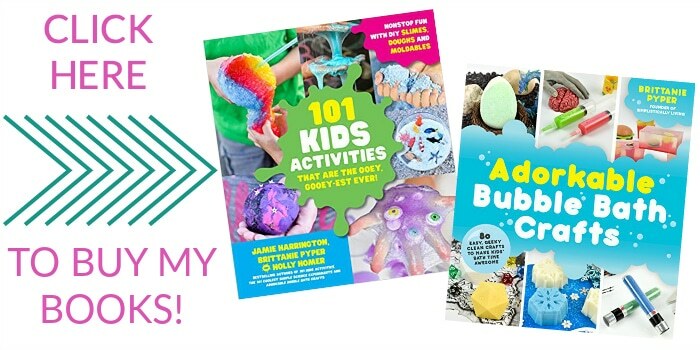 Not only could you make these invitations for a birthday party but you could even make them for a fun Disney themed adult party or a baby shower. You can even make them into Minnie instead of Mickey. You’d basically just want to include a bow. (If you need help on this look let me know). Okay, so I’ve had tons of questions over the years on how to make these and I want to say that the EASIEST way is to use a silhouette machine. This will ensure a perfect cut with every invitation. If you don’t have one, don’t worry. I was able to hand cut all of these invitations when I first made these. Tip: If you want to use a template, I suggest Googling “Mickey Mouse Head Silhouette PNG” this will give options. Save that image to your computer and open in a program such as Microsoft Word. Resize to the size you want then print and cut. Repeat for as many invitations as you need. To get started, simply cut out a Mickey Mouse head silhouette. After the first one is traced and cut out, you can use this as a template for tracing and cutting the others (assuming you aren’t using a Silhouette machine). Cut out half circles using the red cardstock. You want to ensure this fits perfectly on the bottom half of the Mickey head silhouette from step 1. Again once, the first one is traced and cut, use it as a template for the others. 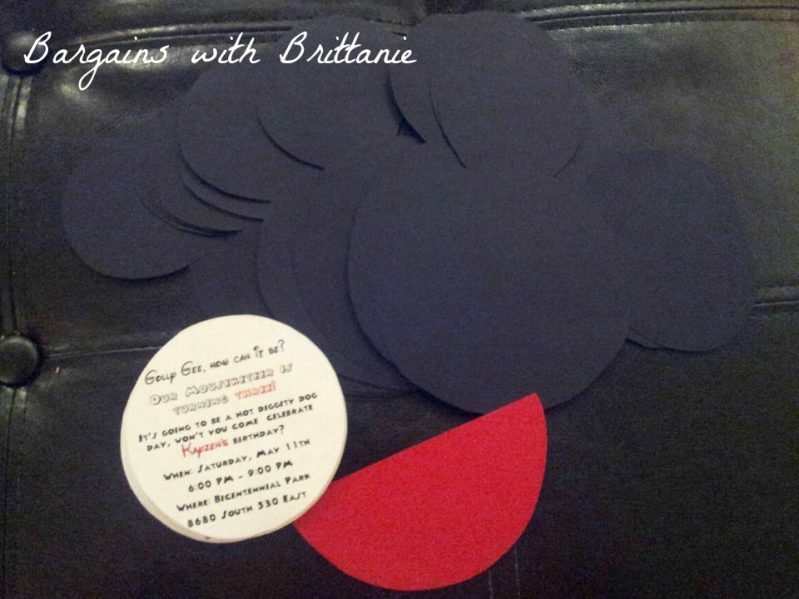 Use craft glue to glue just the edges of the red cardstock onto the black Mickey Mouse silhouette. You want to have a pocket to slip your invite into. Glue white buttons on the front. Design and Print your invitations. I also printed little RSVP cards that were the size of business cards so the invites weren’t cluttered. I created the templates using Microsoft Publisher (you can also use Microsoft Word) and downloaded the Walter and Wicked Mouse Disney inspired fonts from Font Space. I do want to point out that this is a third party site and you are downloading these fonts for free. There may be a risk for a virus. I did not have any issues but just wanted you to be aware. Slip your invite into the pocket. Then place into the clear envelopes and seal them with the cute stickers. You have now made your very own Mickey Mouse Clubhouse Party Invitations without too much effort or cost. Note: Since these are in clear envelopes I did not mail them. I like being able to see them but you can use white envelopes so they can be sent via mail. All in all this craft cost about $10 to make. I made about 20 invitations for his party but I still have a ton of supplies left over to make more. 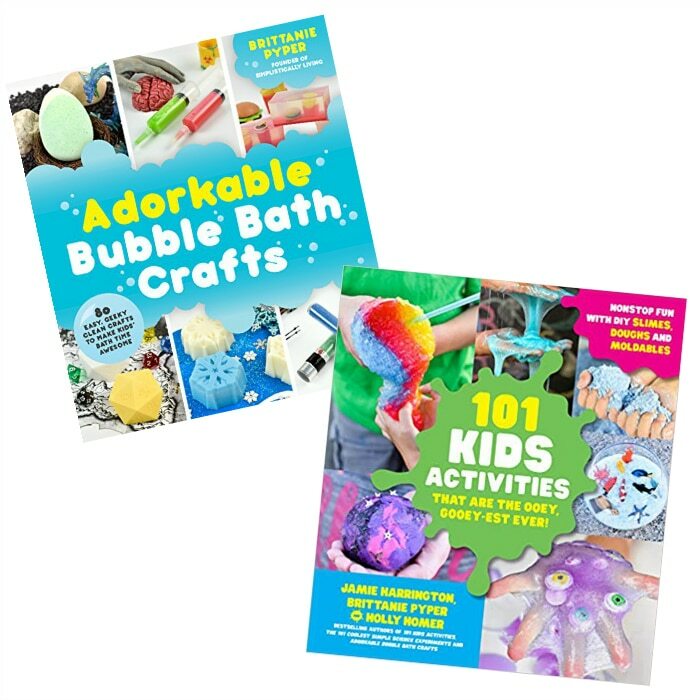 Make sure you utilize those craft store coupons to help keep the cost down. Brittanie Pyper is a mom of 3, a wife, and a creative geek. 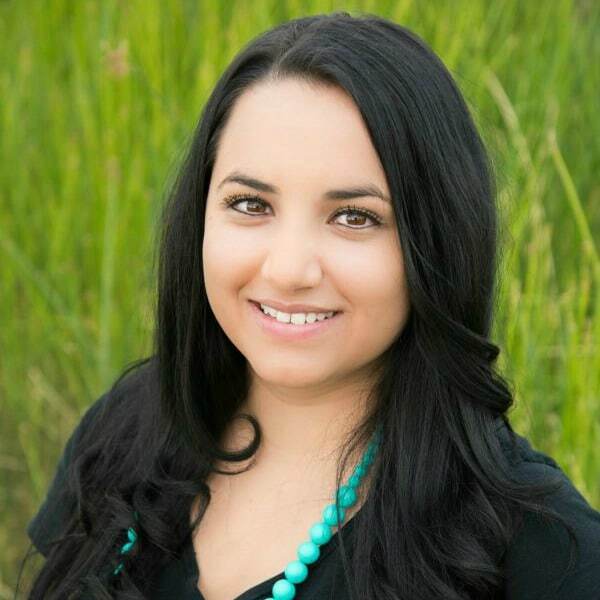 She adores crafting, photography, and baking fun treats. When she isn't blogging, she is enjoying a good video game with her family. Follow her socially on Facebook, Twitter, Instagram, Pinterest, and G+. Hi Katherine, I am sorry but I do not currently have the template. My old PC died with the template on it. If I get around to making another I will upload it here. My suggestion would be to make the Mickey silhouette part first then use that to determine the size of the template you need to make. I sent you and email. So interested in these invites. Hi Elizabeth, I do not seem to have an email from you. Could you try resending it to me? Thanks! Hi Diana, How fun, Mickey is a fun party theme. I actually don't make the invitations but I do know there are sellers on Etsy that do so I would check there! WHAT SIZE DID THE ACTUAL INVITATIONS COME OUT TO BE? I don't have the exact measurements of the final invitations since that depends on how large you make your template and cut the ears. They did fit into 3.75 in clear envelops from Michaels. The template I used for the white circle invitation is 2.95 x 2.84 inches. Hope that helps! Grace, I just found a pack of white buttons at Walmart and then found matches within that pack. Once pack was around $1.62 and gave me enough to make about 20 invitations. Hope that helps! I like the wording you used and i was wondering if you could type it all out for me :) Also can you please email me the template you used for word?.. Thanks i loved this invitations! Ok I sent you an email! Hi Diana, if you'd like to send me an email I can send you more information about the invitations. My email is brittanie@bargainswithbrittanie.com Thanks! These are the cutest invitations! Can you tell me how big these invitations are when they are finished? I would love to create these for my son's 1st birthday, but I cannot seem to find square envelopes that are big enough. Thank you! Hi Hannah I am so glad you like these! The final size when they are finished depends on the size you make the black mickey silhouette (the ears part). I made these big enough to fit clear cello bags found at Michaels. They came in a pack of 50 for around $6. I don't have the package anymore to tell you exactly the dimensions but I remember it was the size down from the largest. I then just sealed the bags with Mickey stickers that I found at Dollar Tree. Let me know if you have any other questions! I was just wondering how much is your fee for for putting the wording on the PDF file and approximately how long does it take to get the file back? Hi Brittanie! I love this idea! I sent you an email with my information. Thanks so much!!!!! Hi Kristen, thank you so much. I am off to check my email now! Hi! I LOVE this idea! I am going to attempt it this weekend! I would like to order the formatting and wording! I was wondering if the light wheight cardstock was durable enough to where the invitations were not flimsy? I like the wording you used and was wondering if you could type it all out for me, without your personal information o course :) Also can you please email me the template you used for word? Thanks so much! Do u have a template u uses for the round white invite. I can't get word to cooperate! I love these!!! They are perfect for my twin's party in July. I was wondering if you could help me as well with the white circles & wording/font! I'm starting to make the invitations this week! Thanks for all your craftiness & help!!! Hi Brandi, I sure can. Please email me at brittanie@bargainswithbrittanie.com and I will be happy to help!